I just recently signed up for Beauty Box 5. They were constantly on my Facebook timeline, so I decided I would give it a try. They had a coupon code for a free box if you were a first time subscriber, so I entered the code and we will see what comes in the mail. I have been looking for a new, affordable, subscription service because I feel ipsy has been all over the place lately with the quality and selection of products they have been sending out. I understand $10 is very little to pay to be able to try new items out. However, shipping to Canada with the conversion rate sometimes makes the bag close to $18. Ridiculous for what was sent last month. Beauty Box 5 just posted this sneak peek for their September box. 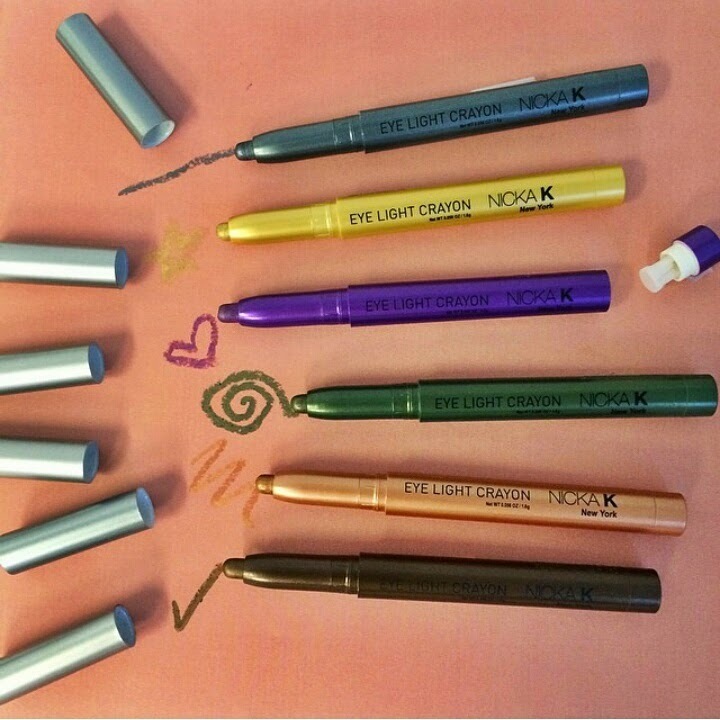 As you can see above, all subscribers will get one of these Nicka K - Eye Light Crayons. I'm hoping for a purple or bronze! The downside of this particular subscription is that there are no surveys to take into account skin type, allergies/sensitivities, makeup likes/dislikes. IpsyMatch isn't the best but at least they can fake you into believing its true! I signed up for month to month so I can cancel at any time. I think I will have them come for 2 or 3 months before I decide if I want to keep the subscription or not. You are in Canada? Have you tried Topbox yet? I get Beauty Box 5/Ipsy/Topbox every month and do a comparison for all 3 each month - it helps me keep track if I am ever going to get ride of one, which one it should be! I do enjoy Beauty Box 5 - i know some people don't like it because it generally has a bit of a lower value and they do give out foil packets. I'm in Ontario! I haven't tried Top box yet. I've only subscribed to ipsy and now I'm looking to try new ones. Thanks for the suggestion! I will keep an eye out on your blog to see your comparisons! Which has been your favorite so far?! Actually I have enjoyed them all so far - i think I have liked Ipsy the best but I am enjoying the mix of all 3 of them!